Home » Youth and High School Sports Concussion Cases: Do They Show The Limits of Litigation In Making Sports Safer? Major class action concussion litigation, which began with suits against the National Football League, NCAA, and NHL, reached the high school and youth level last year with the filing of a youth soccer lawsuit in California (Mehr v. FIFA), and one challenging concussion management practices in high school football in Illinois (Pierscionek v. IHSA). In both cases, the defendants filed motions to dismiss. 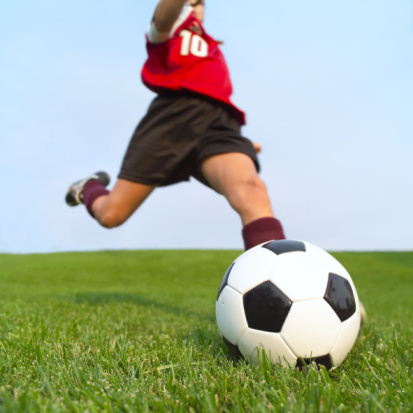 In July 2015, a federal court dismissed the youth soccer lawsuit. A decision from the Illinois state court on whether the high school football lawsuit should also be dismissed or proceed to trial is expected soon. In Mehr v. Federation Internationale De Football Association, a group of youth soccer players sued FIFA, the US Soccer Federation, the US Youth Soccer Association, the California Youth Soccer Association, US Club Soccer, and the American Youth Soccer Organization in the U.S. District Court for the Northern District of California. In their complaint, the plaintiffs claimed that FIFA and the youth soccer groups failed to adopt and enforce rules which would have reduced the risk and severity of concussions and brain injury allegedly the result of repetitive heading. The soccer players sought to force FIFA and the youth soccer groups to ban heading in soccer below age 17 (at the hearing on the motion to dismiss, plaintiffs' counsel for the first time suggested that they might only be seeking a complete ban for players under age 14 or that the number of times a player could hit the ball with his/her head be limited), relaxation of the rule allowing only three substitutions per game, and the creation of a massive medical monitoring fund for all past, present and future youth soccer players who may have suffered either a concussion or a sub-concussive hit (a group which would essentially include every youth soccer player other than those who never had contact with anybody and never headed a ball). In a 46-page decision issued in July 2015, Judge Phyliss Hamilton granted the defendants' motions to dismiss, As to FIFA, Judge Hamilton based her dismissal on a finding that FIFA could not be sued in California, or what lawyers call a lack of personal jurisdiction. This lack of jurisdiction illustrates a difference between law and politics. Under the law, a party cannot be forced to defend a lawsuit in the courts of a state (state or federal) unless it either has continuous and systematic contacts with the state sufficient to establish a physical "presence" in the state, or a three-prong test is met: (1) its activities in the state were such that it could reasonably anticipate being sued in the state; (2) the plaintiff's claims would not have arisen "but for" the defendant's activities in the state; and (3) the court's exercise of jurisdiction over the defendant is reasonable. Nor could the soccer players meet the three-prong test for limited jurisdiction. While the court found that allegations that FIFA had entered into various commercial arrangements or agreements in California might satisfy the first or "purposeful availment" prong, plaintiff fell short of alleging that, "but for" FIFA's activities in California, their claims - which were based on FIFA's alleged failure to change the Laws of the Game to require enactment of concussion management protocols, mandate substitution rules that allow for medical evaluation without penalty, and mandate limits on heading in practices and games by younger players - would not exist. It was not enough to establish jurisdiction over FIFA, the court said, that it exerted "massive worldwide influence and regulation over all aspects of soccer, including in the United States and in California," that FIFA "engages in a broad swath of commercial activities in the U.S. and in California, strategically reinforcing its 'brand' and its primacy in the world of soccer and entrenching its influence[ ]," and that it "has extracted and continues to extract, massive sums of money from the U.S. and California, and has not contributed to protecting the safety of the youth players to which it markets and influences."